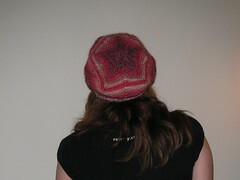 So I offered to help test knit the Zoey Star Beret by Cassie Miller. It helped that I am love knitting hats (especially top down), enjoy unusual construction and had a skein or two of Patons SWS Stripes lying around. 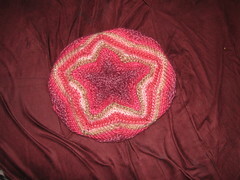 The pattern is charted but I found it very easy to follow and loved seeing how the striping enhanced the stars. I also found the tip about blocking it out on a dinner plate quite helpful. 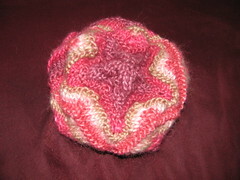 It took just a smidgeon over a skein.